In 2008, the Department of Health and Human Services designated September as National Yoga Month, one of a select number of national health observances. That same year, thousands of yoga and health enthusiasts participated in a 10 City Yoga Health Festival Tour featuring yoga classes, lectures, music, entertainment, exhibits. Since then, the initiative has taken root as a global awareness campaign, educating, inspiring and motivating people to achieve a healthy lifestyle. 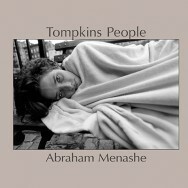 Featured photo is from Tompkins People, by Abraham Menashe. Available from iTunes. ←Older: What or who lights you up? What or who lights you up?